Aliza Ben-Zacharia, DrNP, ANP-BC, MSCN is dual board-certified, acute care NP by ANCC & adult NP by the Academy of NPs. Dr. Ben-Zacharia is a nurse practitioner with years of experience in acute care, neurology and rehabilitation. In 2010, she earned a doctorate degree in nursing practice from Case Western Reserve University and in 2014, she has earned a master degree in nutrition from Columbia University. Aliza has been a nursing leader in the field of multiple sclerosis for many years. Her dedication to the IOMSN and to the field of multiple sclerosis is admirable. In addition, she has been a mentor to many nurses and shares her knowledge willingly. Dr. Ben-Zacharia provides direct patient care, follow-up, training/education and counseling for patients and their families. She is the PI of multiple clinical trials about BMI & progression of MS, quality of life and screening for depression in MS. A skilled educator, Dr. Ben-Zacharia has developed multiple educational programs for patients and professionals and has published articles and chapters about multiple sclerosis, disease-modifying agents, symptom management, and palliative care. She is a certified MS nurse, and is the chair of the communication committee of the International Organization of Multiple Sclerosis Nurses (IOMSN) and a board member at large in the Consortium of MS centers (CMSC). Dr. Aliza Ben-Zacharia has won a few awards for her excellence in rehabilitation and Neurology/MS, and recognition of her educational role by the Hall of Fame, the National Multiple Sclerosis Society. In 2015, she has won the Research award by the International Organization of MS Nurses. She is one of the captains of the annual MS Walk. Beverly Layton is A Nurse Coordinator/Neurology for the multiple sclerosis patient population at the Department of Neurology, University of Alabama at Birmingham, Birmingham, Alabama and has been working with MS patients since 1987. She is a certified clinical research coordinator, as well as a multiple sclerosis certified nurse. She retired on 2014. Ms. Layton completed her pre-nursing studies at the University of Montevallo, Montevallo, Alabama. She earned her BSN from the University of Alabama at Birmingham. With a chief research interest in the treatment of MS, she has served as Research Nurse Coordinator on numerous therapeutic drug trials. Ms. Layton is a frequent invited lecturer on topics including nurses’ role in management of patients with MS, current approaches in managing MS, and intimacy and MS. Ms. Layton works closely with the Alabama Chapter of the Multiple Sclerosis Society and serves on the Client Services Committee. She has received the Client Programs Hall of Fame and Norman Cohn Hope Award from the Alabama Chapter. Ms. Layton is a member of a number of professional societies and organizations, including the Association of Clinical Research Professionals, and the International Organization of Multiple Sclerosis Nurses. Constance Easterling is an adult registered nurse practitioner (ARNP) and serves as clinical coordinator of the MS Care Center at Neurological Services of Orlando (NSO). A graduate of the University of Florida, she has developed and implemented three multiple sclerosis (MS) programs in Central Florida. Her practice has been limited exclusively to MS since 1998. An accomplished lecturer, Ms. Easterling promotes MS education and awareness by speaking frequently to community, student, and professional groups throughout the United States. She has co-authored several articles on issues related to MS nursing and patient care. Currently, Ms. Easterling serves as Member-At-Large on the Consortium of MS Centers (CMSC) Board of Directors. For the past seven years she has coordinated Fundamentals of MS Care for the CMSC’s annual symposium. Now a two-day case-based program, Fundamentals provides a learning opportunity for those new to MS or those studying for the certification examination. As an active member of the International Organization of MS Nurses (IOMSN) since 1999, Ms. Easterling has served on the Board of Directors since 2006 and as IOMSN liaison to the Multiple Sclerosis Nurses International Certification Board (MSNICB) from 2007-2012. The purpose of this board is to enhance professional practice and patient care through multiple sclerosis nursing certification. Ms. Easterling is one of more than 1000 nurses around the world who are certified in multiple sclerosis nursing (MSCN). With an interest in nursing education, she has participated in the IOMSN Mentorship Program, serving as mentor to nurses with an interest in multiple sclerosis. She is an active member of the IOMSN Speakers’ Bureau and has developed several presentations for speakers use. 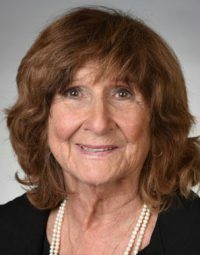 In 2009, she received the June Halper Award, a recognition for excellence in MS nursing that signifies energy of purpose to provide the most up-to-date comprehensive care possible. She acknowledges this award as the most significant recognition of her career.